3.Now submit your mobile number. 4.That's you will get coupon within few minutes mobile number. 3.Initiate a Recharge of 20 or more,select operator,enter amount. Note : Offer Not Valid on Airtel Recharges. 4.On next page tick on I have promo code option and enter your coupon,apply it. 5.Now pay amount with Debit/Credit card only.Not valid on paying amount with other payment option. 6.Cashback will be credited into your fc credits. 1.Cashback amount is fixed Rs 40. 2.Offer valid once per user/number/CC/DC. 3.Cashback Offer not valid on transaction with net banking/fc credits. 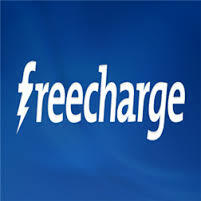 4.Offer valid on pay the recharge amount with DC/CC. 5.Offer Not Valid on Airtel Recharges.